U.S. soldiers at Long Binh base in South Vietnam line up to give urine samples at a heroin detection center before departing for the United States. About 20 percent of soldiers said they were addicts, but most didn't continue drug use back home. Vials of heroin and a marijuana joint shown in Saigon in 1971. In May of 1971, two congressmen, Robert Steele from Connecticut and Morgan Murphy of Illinois, went to Vietnam for an official visit and returned with some extremely disturbing news: 15 percent of U.S. servicemen in Vietnam, they said, were actively addicted to heroin. 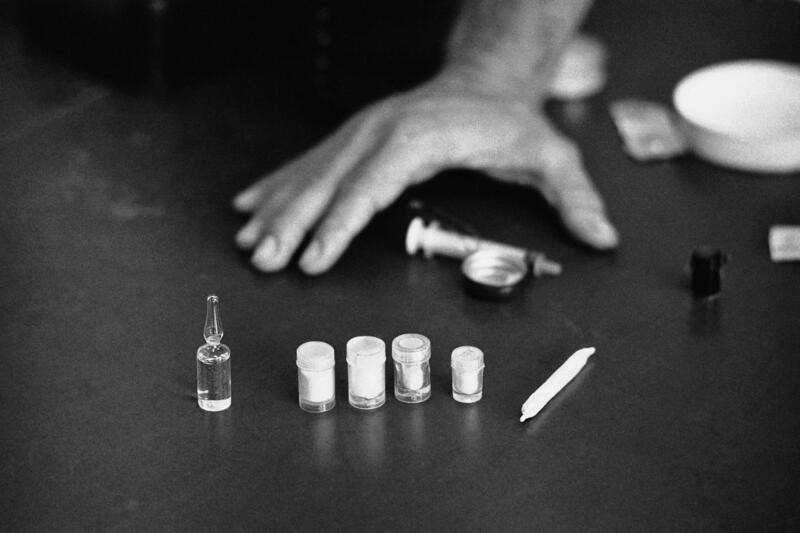 The idea that so many servicemen were addicted to heroin horrified the public. At that point heroin was the bete noire of American drugs. It was thought to be the most addictive substance ever produced, a narcotic so powerful that once addiction claimed you, it was nearly impossible to escape. In response to this report, President Richard Nixon took action. In June of 1971, he announced that he was creating a whole new office — the Special Action Office of Drug Abuse Prevention — dedicated to fighting the evil of drugs. He laid out a program of prevention and rehabilitation, but there was something else Nixon wanted: He wanted to find out what happened to the addicted servicemen once they returned home. And so Jerome Jaffe, whom Nixon had appointed to run the new office, contacted a well-respected psychiatric researcher named Lee Robins and asked her to help with the study. He promised her unprecedented access to enlisted men in the Army so that she could get the job done. "I believe the number of people who actually relapsed to heroin use in the first year was about 5 percent," Jaffe said in 2011. In other words, 95 percent of the people who were addicted in Vietnam did not become re-addicted when they returned to the United States. This flew in the face of everything everyone knew both about heroin and about drug addiction generally. When addicts were treated in the U.S. and returned to their homes, relapse rates hovered around 90 percent. It didn't make sense. "Everyone thought there was somehow she was lying, or she did something wrong, or she was politically influenced," Jaffe says. "She spent months, if not years, trying to defend the integrity of the study." But 40 years later, the findings of this study are widely accepted. To explain why, you need to understand how the science of behavior change has itself changed. According to Wendy Wood, a professor of psychology at the University of Southern California who researches behavior change, in the 1960s, 1970s and 1980s scientists thought that if you wanted to change behavior, the key was to change people's goals and intentions. "The research was very much focused on trying to understand how to change people's attitudes," Wood says, "with the assumption that behavior change would just follow." So researchers studied how to organize public health campaigns, or how to use social pressure to change attitudes. And, says David Neal, another psychologist who looks at behavior change, these strategies did work. "They do work for a certain subset of behaviors," he says. "They work for behaviors that people don't perform too frequently." "Once a behavior had been repeated a lot, especially if the person does it in the same setting, you can successfully change what people want to do. But if they've done it enough, their behavior doesn't follow their intentions," Neal explains. "People, when they perform a behavior a lot — especially in the same environment, same sort of physical setting — outsource the control of the behavior to the environment," Neal says. Outsourcing control over your behavior sounds a little funny. But consider what happens when you perform a very basic everyday behavior like getting into a car. "Of course on one level, that seems like the simplest task possible," Neal says, "but if you break it down, there's really a myriad set of complex actions that are performed in sequence to do that." You use a certain motion to put your key in the lock, and then physically manipulate your body to get into the seat. There is another set of motions to insert the key in the ignition. "All of this is actually very complicated and someone who had never driven a car before would have no ability to do that, but it becomes second nature to us," Neal points out. "[It's] so automatic that we can do it while we are conducting complex other tasks, like having conversations." Throughout the process, you haven't thought for a second about what you are doing, you are just responding to the different parts of the car in the sequence you've learned. "And very much of our day goes off in this way," Wood says. "About 45 percent of what people do every day is in the same environment and is repeated." In this way, Neal says, our environments come to unconsciously direct our behavior. Even behaviors that we don't want, like smoking. "For a smoker, the view of the entrance to their office building — which is a place that they go to smoke all the time — becomes a powerful mental cue to go and perform that behavior," Neal says. Over time those cues become so deeply ingrained that they are very hard to resist. And so we smoke at the entrance to work when we don't want to. We sit on the couch and eat ice cream when we don't need to, despite our best intentions, despite our resolutions. "We don't feel sort of pushed by the environment," Wood says. "But, in fact, we're very integrated with it." To battle bad behaviors then, one answer is to disrupt the environment in some way. Even small changes can help — like eating the ice cream with your nondominant hand. What this does is disrupt the learned body sequence that's driving the behavior, which allows your conscious mind to come back online and reassert control. "It's a brief sort of window of opportunity," Wood says, "to think, 'Is this really what I want to do?' "
It's important not to overstate this, because a variety of factors are probably at play. But one big theory about why the rates of heroin relapse were so low on return to the U.S. has to do with the fact that the soldiers, after being treated for their physical addiction in Vietnam, returned to a place radically different from the environment where their addiction took hold of them. "I think that most people accept that the change in the environment, and the fact that the addiction occurred in this exotic environment, you know, makes it plausible that the addiction rate would be that much lower," Jaffe said. We think of ourselves as controlling our behavior, willing our actions into being, but it's not that simple. It's as if over time, we leave parts of ourselves all around us, which in turn, come to shape who we are. A version of this story was published by NPR in 2012. Today in Your Health, changing behavior to keep your New Year's resolutions. This story by Alix Spiegel was so illuminating the first time we played it, we made a New Year's resolution to play it for you again. ALIX SPIEGEL, BYLINE: This story of New Year's resolutions and behavior change begins on June 17, 1971, at a press conference held by President Richard Nixon. PRESIDENT RICHARD NIXON: Won't you be seated, please, ladies and gentlemen? NIXON: Public enemy number one. SPIEGEL: And so to coordinate his fight against this enemy, Nixon created a whole new office, headed by a man named Jerome Jaffe. SPIEGEL: I recently went to visit Dr. Jaffe, and he explained that part of the reason the public was so wigged out about the idea of thousands of servicemen addicted to heroin was because of heroin's reputation at the time. JEROME JAFFE: Once you get addicted, you know, you almost inevitably relapse. SPIEGEL: In other words, the soldiers were condemned to a life of heroin addiction. Still, Nixon laid out a program of rehabilitation and prevention. And there was something else he wanted. He wanted Jaffe to research what happened to the addicted servicemen once they came home. JAFFE: The president wanted it studied; I would get it studied. SPIEGEL: So Jaffe gave this psychiatric researcher named Lee Robins unprecedented access to the regular enlisted men in the Army. Every enlisted man was tested for heroin before he was allowed to return to the U.S. And this is what she found. JAFFE: Forty percent had tried heroin. Somewhere around half had become addicted. SPIEGEL: Now, those who were addicted were actually kept in Vietnam until they dried out. Then Robins tracked them when they returned to the States. JAFFE: Well, that was the surprising thing. She looked at the number of people who returned to heroin use when she interviewed them one year after returning. SPIEGEL: And that number? Shockingly low. JAFFE: Ninety-five percent of the people who were addicted in Vietnam did not become re-addicted when they returned to the United States. SPIEGEL: Now, this flew in the face of everything everyone knew about both heroin and drug addiction, generally. JAFFE: Everybody thought there was - somehow, she was lying; she was politically influenced. She spent months, if not years, trying to defend the integrity of the study. SPIEGEL: But 40 years later, the findings of this study are widely accepted. And to explain this, I need to turn back to the subject of behavior change - and not just drug addiction, mind you - all kinds of resolution-worthy behaviors like diet and exercise and smoking. And to help me explain, let me introduce to you to two people. WENDY WOOD: My name is Wendy Wood. DAVID NEAL: My name is David Neal. SPIEGEL: Wendy Wood and David Neal are psychologists who research how to change behavior. Wood is at the University of Southern California. Neal works for companies like Procter & Gamble. And when I called them, they explained that for many years, scientists believed that if you wanted to change behavior, you really had to change people's goals and intentions. Here's Wood. WOOD: The research was very much focused on trying to understand how to change people's attitudes, with the assumption that behavior change would just follow. SPIEGEL: And so researchers studied stuff like how to organize public health campaigns, or how to use social pressure to change attitudes. And Neal says they found that those interventions did work - mostly. NEAL: They work for behaviors that people don't perform too frequently. SPIEGEL: Wood and Neal say that if you want, for example, to increase the number of people who donate blood, a public campaign can work well. But if you want them to quit smoking, campaigns intended to change attitudes are less effective. NEAL: Once a behavior's been repeated a lot, especially if a person does it in the same setting, you can successfully kind of change what people want to do. But if they've done it enough, their behavior doesn't follow their intentions. SPIEGEL: OK, so why would this be? Neal says it has to do with the way that over time, our physical environments come to shape our behavior. NEAL: People might, when they perform a behavior a lot - especially in the same environment, same kind of physical setting - outsource the control of the behavior to the environment. SPIEGEL: So outsourcing control over your behavior to the environment might sound a little funny. To help you understand, let's look really closely at a very basic, everyday behavior, getting into a car. NEAL: If you break it down, there's really a myriad set of complex actions performed in sequence, that are required to do that. WOOD: You use a certain motion to stick your key in the lock. SPIEGEL: All right, there we go. WOOD: You stick the key in the ignition. SPIEGEL: I'll put the key in. NEAL: All of this is actually very complicated, and someone who had never driven a car before would have no capacity, obviously, to do that. But it becomes second nature to us and so automatic that we can do it while we're conducting complex other tasks, like having conversations. WOOD: About 45 percent of what people do every day is in the same environment and is repeated. SPIEGEL: In this way, David Neal says, our environments come to unconsciously direct our behavior - even the behaviors that we don't want, like smoking. NEAL: For a smoker, the view of the entrance to their office building - which is a place that they smoke all the time - becomes a powerful mental cue to go and perform that behavior. SPIEGEL: And, Wood says, over time those cues become so deeply ingrained that they are very, very hard to resist. And so we smoke at the entrance of work when we don't want to, sit on the couch with a tub of ice cream when we don't need to. WOOD: We don't feel sort of pushed by the environment. But in fact, we are very integrated with it. SPIEGEL: To battle a bad behavior, then, one answer is to disrupt the environment in some way. Even a small change can help, like eating the ice cream with your non-dominant hand. NEAL: Doing things like altering the action sequence in some way to disrupt the kind of learned body sequence that is driving the behavior. SPIEGEL: Of course, larger disruptions can also be helpful, which brings us back to heroin use in Vietnam. Now, I don't want to overstate this because a variety of factors are probably at play. 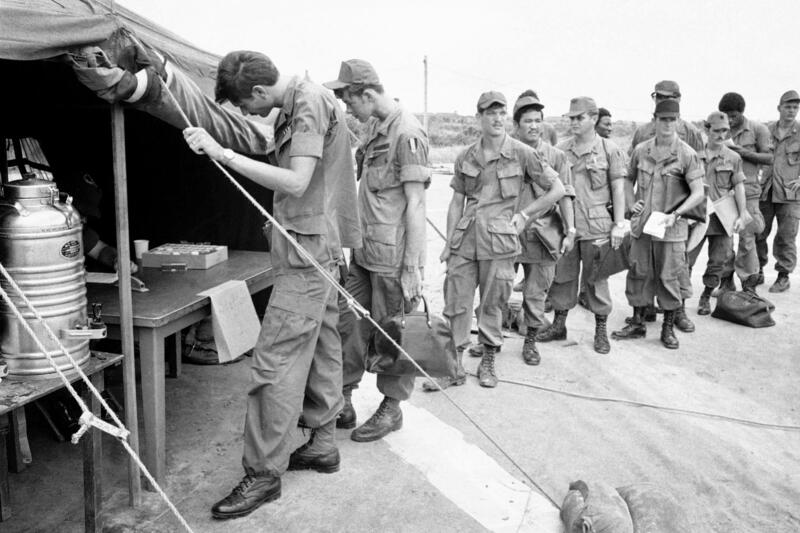 But one big theory about why the rates of heroin relapse were so low on return to the U.S. has to do with the fact that the soldiers, after being treated for their physical addiction in Vietnam, returned to a radically different place. Here's Nixon appointee Jerome Jaffe again. JAFFE: A change in the environment, you know, makes it plausible that the addiction rate would be that much lower. SPIEGEL: We think of ourselves as controlling our own behaviors, as directing the actions we take. But it's not that simple. It's like over time, we deposit parts of ourselves in the world all around us, and in turn, those parts come to shape who we are. Alix Spiegel, NPR News, Washington. Transcript provided by NPR, Copyright NPR.